We have got an exciting news for all the food lovers out in Dubai. The 3.5Km Mohammed Bin Rashid Boulevard in Downtown Dubai is all set to become the city’s must-visit culinary destination. It will be having more than 50 new food and beverage outlets! Food lovers can make a beeline to Downtown Dubai to sample the largest collection of culinary delights ranging from Italian, Mediterranean, Chinese, Japanese, Indian, Lebanese, Mexican, and French, among others, positioning Dubai as the ultimate food lovers’ paradise. Ahmad Al Matrooshi, managing director, Emaar Properties, said: that in addition to bringing the best of entertainment, shopping, and leisure to visitors, Dubai is renowned for its global culinary offerings, with the world’s cuisines in one destination. The unique culinary choices on Mohammed Bin Rashid Boulevard serve as a representation of Dubai’s multicultural dynamism. Among the new restaurants on Mohammed Bin Rashid Boulevard are: Aprons & Hammers, Wafi Gourmet, I love F Café, PappaRoti, Leila, Mamma Italia, Reem Al Bawadi, Fournil de Pierre, Ultra Brasserie, Hollywood Burger, Itzza Pizza, Maison Bagatelle, Benningans, Café Mex, Cairo Kitchen, and many more. Dubai is expanding and so as our taste buds with inclusion of such amazing restaurants in the city. 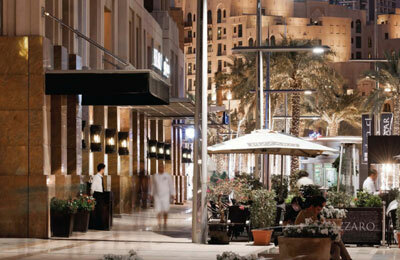 Enjoy the food and ambiances in the new culniary destination that is Mohammed Bin Rashid Boulevard!